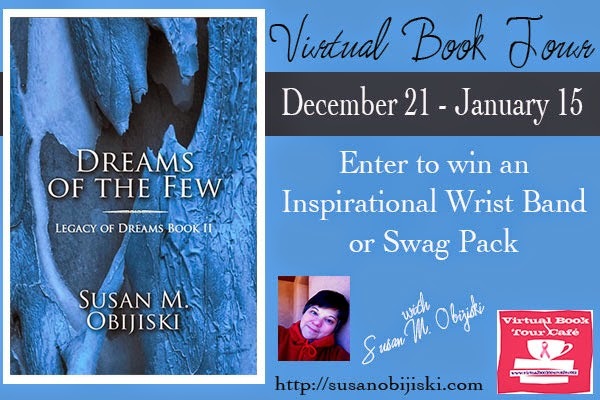 Join us for our Dreams of the Few Virtual Blog Tour. The tour will take place from December 21 thru January 15, and will include interviews, reviews, guest blog entries and more! Take a moment and explore the new novel; the second in a three-book metaphysical series that takes the reader on a journey through the land of dreams, challenges our assumptions about reality, and reminds us of the power of love and friendship. The Legacy of Dreams series includes 'Dreams of the Many', and 'Dreams of the Few', and is the perfect holiday gift for yourself, or for a friend or family member.